Why is a Single Page Website Enough for a Driving Lesson? One-page websites are becoming popular in 2018 and in particular in industries where business owners don’t have the time or capacity to invest in lengthy websites that cost hard-earned revenue to maintain. In the Learner Driver industry, they are a perfect fit for our parents and students who are busy and want access to all the relevant information about a driving school in a few seconds, allowing them to decide and then book a driving lesson. Time, relevant content and easy to transact with – is what will define 2018 in the learner driving industry. In this blog, I’ll share some examples of why a single-page website is trending at such a rapid pace and explain some simple cost-effective ways you can take action to jump in “on the action” – let’s get started! Whatever our personal views are on technology, one thing is certain, it’s never going away. There’s nothing new about being able to book online for products and services – consider that Australians alone spend approximately 2 hours per day, every day, engaging in the online world through Google, Facebook, eBay, and the list goes on. Think about where most 35 to 55’s (roughly the age of parents booking lessons for students) currently head to when booking their movie tickets or a table at a restaurant… For the last holiday, you went on, did you research, read reviews, decide and then book online, all from the comfort of your mobile phone or computer? Now think about your students, where do they turn to if they want to find a product or service…? Mobile phones without a doubt! 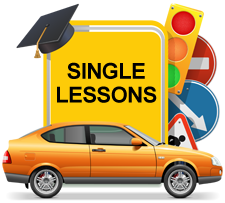 Booking driving lessons online are growing more rapidly than what you can imagine. I study the industry and research new entrants and have seen an explosion of ‘generic’ booking systems in the market servicing all industries where bookings are required. Why is this happing? 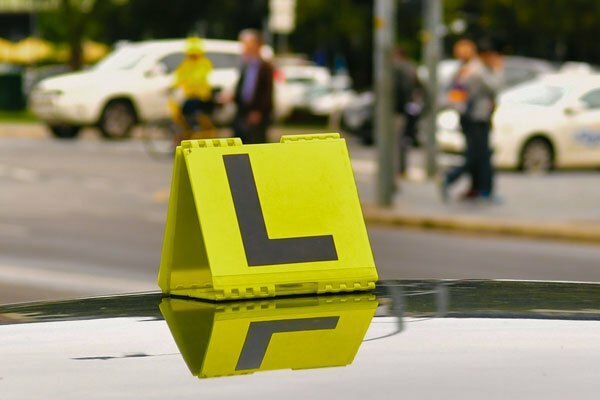 It’s about customer service and making it easy for students and parents to book driving lessons Brisbane with their preferred driving instructor at times that suit them and their driving instructors – this is where the craze is. Having a prominent “Book Now” button on your single-page website and other related social media is what you need to do in 2018. The benefits to new customers finding you and booking lessons, not to mention existing students doing repeat bookings, will grow your business in 2018 beyond what you can imagine. If we go back to the reasons why we need to have a website, it’s quite simple to communicate a message to our customers about the services we offer. Whether it’s a new student or parent browsing your website or a potential new driving instructor wanting to join our business, our specific goal is to tell a story, a compelling story that connects with our reader and gets them to take “action”. Do this well and your business will flourish. Now I can hear some of you saying, “I’ve already got a full calendar and don’t need any more students” – if this is you then you are in the minority and hats off to you for building a successful business that easily allows customers to find and transact with you! But for the far majority of us, our battle is not in the ‘wanting’ but in the time, know-how and expertise to design a website that firstly, is Google-friendly and then doesn’t cost a fortune to build and maintain. A single page with less design creates an easier experience for customers who are already used to using a variety of devices to access websites. These days customers use high-quality apps on their mobiles devices and apps by the very nature of their design are far superior to websites currently, such as ‘swiping’, ‘pop-outs’, ‘use of GPS’ or even ‘gyroscope movements’. Single page websites together with a ‘responsive design’ offer a much more delightful interaction. The ‘responsive design’ concept means your website automatically fits on any screen size and creates a consistent, uniform experience for your customers no matter what digital asset they are looking at in your business. Think about your brand for a moment, a student books a driving lesson on your website and later wants to reschedule the lesson using their mobile phone – the overall experience is significantly enhanced simply by having the same feel across different devices. With the time-poor world, we often find ourselves in, having short and succinct descriptions of the services you offer at your driving school is essential to make it easy for your customers to find what they are looking for and then decide if they want to do business with you. You don’t have to be the world’s best copywriter to write your own descriptions of the types of driving lessons you provide – there is free content available from reputable sources that can help you get started. Remember always focus on your parents and student’s needs and then allow the story to unfold as you scroll down your website. If a single page website is designed with the right flow of content at the right times then the story will unfold as your customers scrolls down your website. Ultimately, the quicker they can get to the social proof about your business and services you are offering, the quicker they can decide to push the “Book Now” button and transact with you. Social validation these days can come in various forms including testimonials on websites and increasingly through real-time reviews where prospects can read very recent reviews from other happy customers. In Australia for example, it’s common for potential customers to read between 3 and 4 reviews from other customers before deciding. So, some of the traditional ‘word of mouth’ has been overtaken simply by driving schools now providing real-time reviews through their single page website, together with any other digital assets used by the driving school. Thankfully website prices have significantly come down in price with some companies even offering ‘free websites’. Single-page websites are the perfect solution for small businesses looking to create a digital asset for their business that creates a great customer experience and leads to many conversions. So if you looking to spend less than $1,000 on a website then imagine a beautifully designed website that displays across any device providing a consistent feel to your brand whilst converting more customers with ease. There are some excellent providers that build professional and high-quality websites so do your research and don’t pay for what you don’t need. Start with content in mind first – think about the services you offer and what ‘experience you want your student and parents to have. Search Engine Optimization (SEO) is important and adding new fresh content is a powerful way to improve your SEO which can easily be done on a single page website. Keep it simple – whatever you decide, busy people need to get to the information they want quickly – make sure your Book Now buttons are easily located. Keep in mind customers don’t always read, so think about adding Video to your website – it’s all about differentiating yourself from your competitors and this media is fast becoming the norm. ← What Can You Expect From a Good SEO Company Los Angeles?